Cinnamon rolls? Nah. Who knew that soda bread could be rolled, filled, sliced and baked like this? Until recently, I didn't. But soda bread makes the perfect foil for a number of fillings. On this particular day there were fresh, piquant garlic chives at the farmer's market begging to be bought. How could I resist? Place the walnuts and cheese into the bowl of a food processor and pulse until the cheese and walnuts are combined and have reached a small crumb size. Add the chives, salt, and pepper and process until combined. 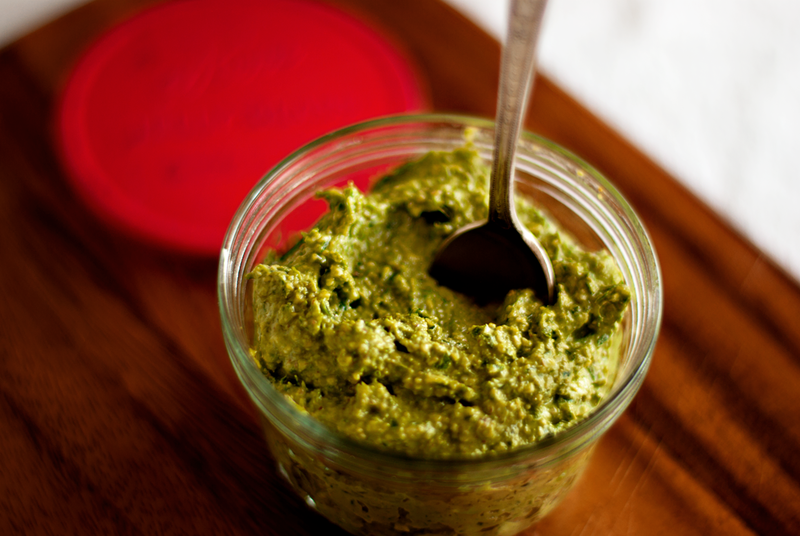 With the processor running, add olive oil in a thin stream until the pesto reaches the desired consistency—like a thick paste. Serve immediately or refrigerate. Preheat the oven to 425°F/220°C/Gas Mark 7. Sift the flour, baking soda, and salt together in a large bowl. Make a well in the center of the flour mixture and add the buttermilk. Using your hands, mix the dough until it's combined—the dough will be thick. Turn the dough out onto a floured surface and knead lightly into round. Roll the dough into a large rectangular shape, about 1/2" thick. 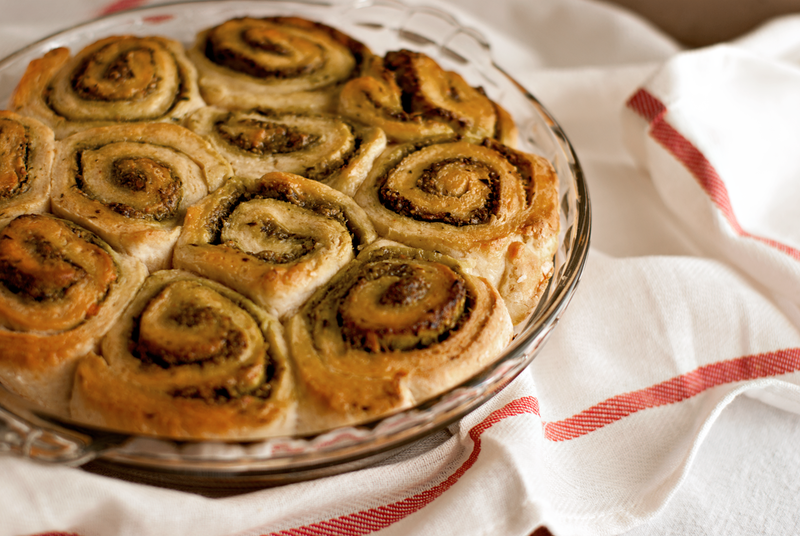 Spread 3-4 large spoonfuls of chive pesto onto the dough to within about 1/2" of the sides. 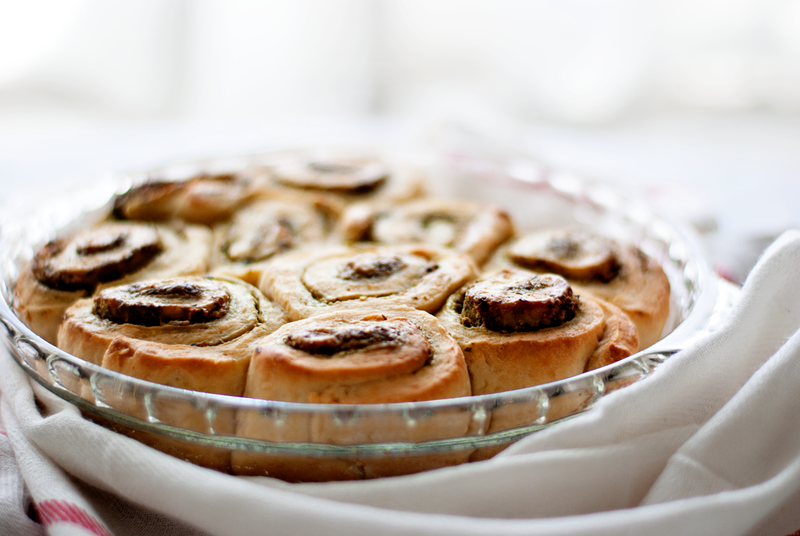 Beginning on one of the long sides, roll the dough into a cylinder shape. Cut 1/2" rounds and place into a round, greased baking dish. Bake for 20 minutes or until golden brown. Brush lightly with olive oil when still hot from the oven. 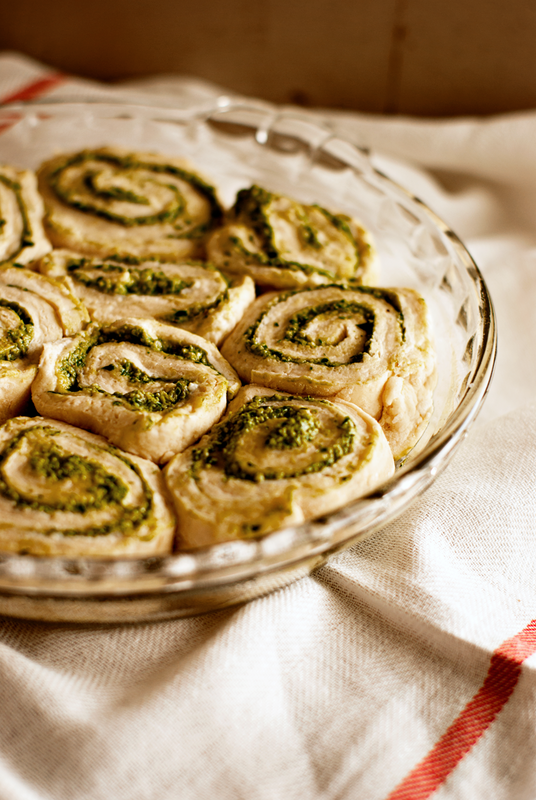 These rolls make a wonderful accompaniment to a simple salad but wouldn't it be more fun to share them? Inject a little bit of Ireland at your next potluck and let me know how you like them!